Testimonials from Preston Green Home Builders, Inc.
Eleven years ago Chris and I were married. We talked about the Future and what we wanted in our "First Home". Last year we decided it was time to find a Builder, Preston Green Home Builders was the obvious choice for us. We met Preston and his wife Heather and went over what we wanted in a home for our family, a short time later on September 15th, 2009 we broke ground on our Home. From the start everything fell right into place, from picking the right brick to the right paint color for each room. The entire experience was Wonderful and so much easier than I thought! If we had to do it all over again, there would be NO DOUBT that Preston would build for us again. Preston took the dreams that we had for so long and turned them into reality. He made a house into the Home we had always Dreamed of for our Family! We will never be able to express our Thankfulness for all the hard work and dedication that Preston put into our home, and I would definitely recommend Preston Green Home Builders for your next Home!! Our family has had the pleasure of living in a Preston Green home since Oct. 2009. After moving from Seattle to Huntsville, we spent many months looking at dozens of homes in the Huntsville, Madison, and Athens area. When we drove into our neighborhood and entered our home, we fell in love. We were particularly interested in a new home that wasn’t “cookie cutter” and had unique character. Our house built by Preston Green and his team really was everything we were looking for with regard to the layout, rooms, and details. They have built with aesthetics that really made a difference for us such as the lighting, custom cabinets, wood floors, and the choice of colors. We get compliments every time we have friends or family over. Altogether we are very satisfied with the purchase of our first home. We are also thankful for the active role Preston has taken after our purchase in making sure we are fully satisfied. His professionalism is a great additional feature to have as our builder. We couldn’t be happier!" The best decision we made was picking the right contractor to build our dream home. Preston and his crew made building our house easy and FUN! He helped design our home to fit our budget, advice about the construction loan process, and so much more before we even started building our house! They would give us honest feedback about every concern we had and helped us make the best decision for our family. They offered valuable advice to ensure we were getting the best product for our budget and needs. We never felt like we were bothering them with our changes and numerous calls. If we didn't LOVE our house so much we would definitely use Preston Green Home Builders again and we would recommend them to anyone thinking about building a house! Welcome to Preston Green Home Builders! We know that when it comes to purchasing a new home you have a choice in builders. We pledge to maintain your confidence and earn your trust and to establish a lasting relationship from start to finish and beyond. Our goal is to make you feel secure in your investment, provide you with exceptional customer service and to always make you feel at home. We'd like to take this opportunity to thank our customers for giving us a chance to serve them, to our subcontractors for taking pride in their work and giving us their best day in and day out, to our family for the love and encouragement they have always given us, and to God who has blessed us and our team with many blessings and abilities. Custom Homes by Preston Green Home Builders, Inc.
At Preston Green Home Builders, Inc our personal approach to custom building ensures that your new home or remodeled residence is customized to meet your family's unique and specific wants and needs. We can work from design ideas you bring us or we can work with you to custom design a truly unique custom residence. 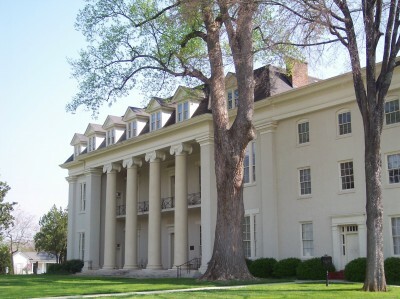 We pride ourselves on building custom homes with character and quality. Your home is an expression of you, and we think the more freedom you have to express yourself in your home, the more pride you will have in it. Also, as a company we must not become complacent in our process building many different plans. Because we are a smaller volume home builder, you'll benefit from the personalized, attention to detail that is afforded you as our client. We will guide you through every stage of the home building process, from choosing the ideal lot and designing living space to construction stages and closing. One of the most enjoyable times in the home building and remodeling process is the selection process. Choosing colors, finishes and materials that go into your new home or remodeled living space truly defines your personal taste and lifestyle. Preston Green Home Builders personally guides you through the process of making your selections, including providing timetables outlining when selections need to be made. While the climate of home building in North Alabama and across the country isn't quite the same as it was just a few years ago, now can be the best time to consider building the home of your dreams. Remember, the benefits of building a new home are many. You'll enjoy some of the lowest interest rates in decades. Everything in your new home is new and takes advantage of the latest trends and technologies. You get to pick out everything from brick, paint colors and cabinet styles to floor coverings, lighting, fixtures and appliances. And there are no hidden surprises. You and your family deserve to enjoy the experience of building a home that is uniquely yours, defining your personal tastes and crafting a one-of-a-kind residence that is a true reflection of your lifestyle. Don't miss this exceptional opportunity in housing to design and build the home of your dreams with a trusted home builder with a trusted reputation...Preston Green Home Builders. 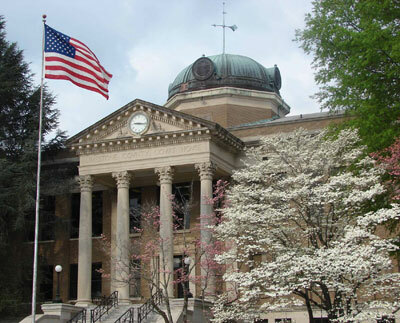 In 1934, Athens became the first city to get its electricity from the Tennessee Valley Authority. Athens is the home of Browns Ferry Nuclear Power Plant, a Tennessee Valley Authority installation first operated in 1974, that was once the world's largest nuclear plant. It provides many jobs to the area and most of the electricity for the Huntsville-Decatur Metro Area. While the climate of home building in North Alabama and across the country isn't quite the same as it was just a few years ago, now can be the best time to consider designing and building the home of your dreams. 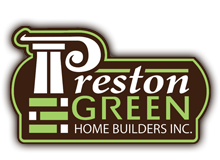 Preston Green Home Builders has been building new homes for almost 10 years and continues to be a vibrant home building company with a vision of what today's home buyers are expecting in a new home. Each home, no matter the size or price, is built with the same diligence in quality and owner satisfaction. We have built new homes in Limestone, Lauderdale, Madison and Morgan counties. We also build on the lot of your choice. Remember, the benefits of building anew home are many. You'll enjoy some of the lowest interest rates in decades. Everything in your new home is new and takes advantage of the latest trends and technologies. You get to pick out everything from brick, paint colors and cabinet styles to floor coverings, lighting, fixtures and appliances...and there are no hidden surprises.Don't miss this exceptional opportunity in housing, to design and build the home of your dreams with a trusted home builder with a trusted reputation.